URGENT NEED FOR MEDICAL CENTER VOLUNTEERS! 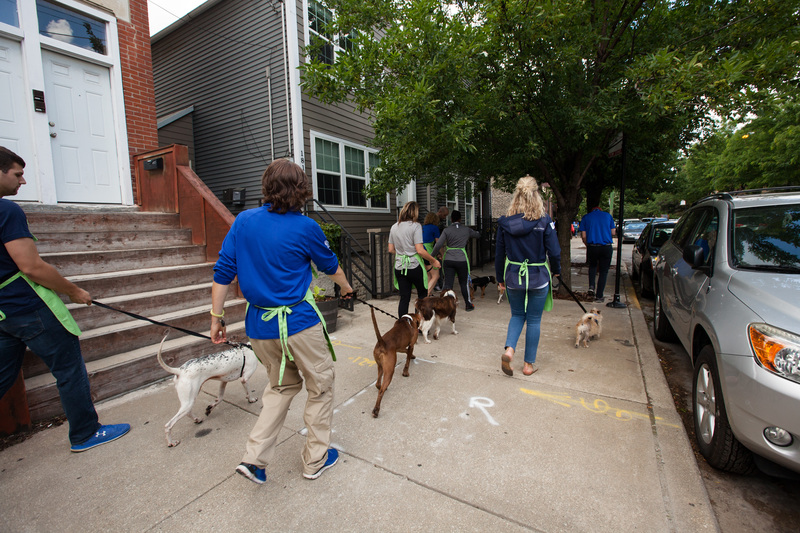 Help walk dogs, socialize puppies and help keep our facility clean and operating! 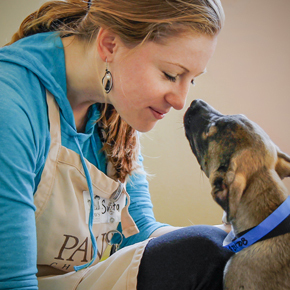 Medical Center volunteers interact with both healthy animals as well as those who need time to recover from illness or injury. In baseball, the intentional walk is used by pitchers to bypass a good hitter. In pet adoption, many great dogs are bypassed because they lack adequate opportunities to become socialized. Chicago Cubs outfielder Albert Almora, Jr. and his wife Krystal are looking to increase the odds of winning for shelter dogs by encouraging people to volunteer at local shelters to walk and interact with dogs. 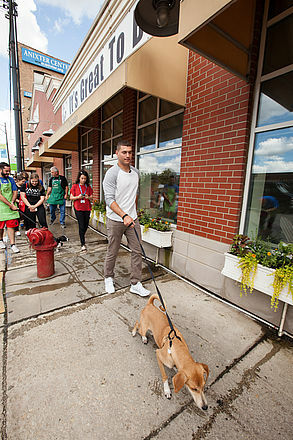 In June 2017, the Almora's, in partnership with PAWS Chicago, launched the Intentional Walk campaign to raise awareness about the need to walk and socialize dogs at local shelters. Albert and Krystal were joined by members of the Cubs front office at the PAWS Chicago Adoption Center in Lincoln Park for a special volunteer day to kick-off the initiative. 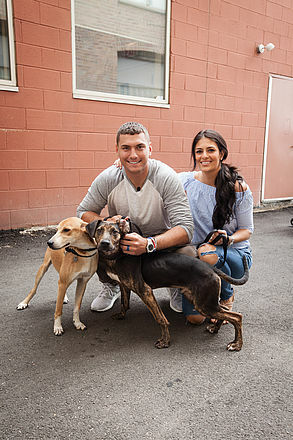 After the death of their beloved Pit Bull, Albert and Krystal became motivated to give back to local communities by helping shelter dogs find loving homes. 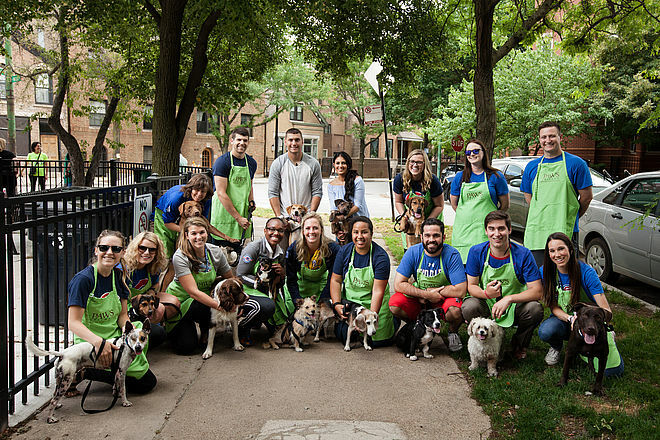 Many want to help but are not in a position to adopt or foster a dog. 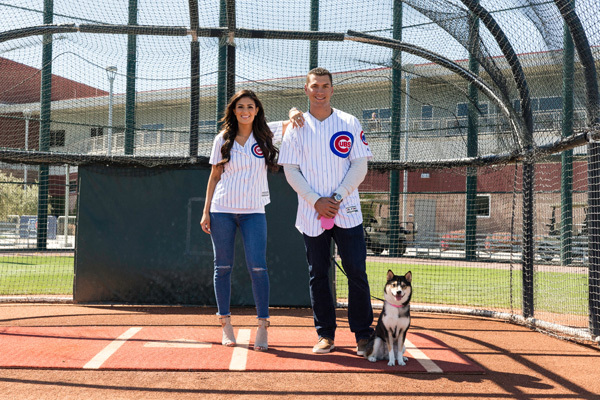 The Almora’s Intentional Walk campaign encourages pet lovers to find time to walk a shelter dog. 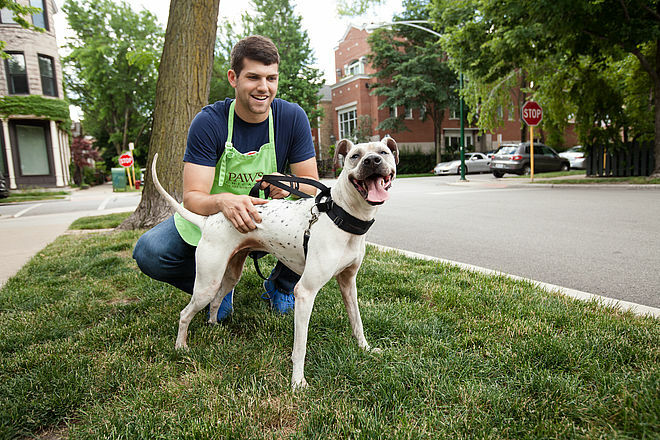 Dogs come to shelters for many reasons but there is one constant among the dogs – they are stressed. The transition can be difficult and they may exhibit signs of anxiety. 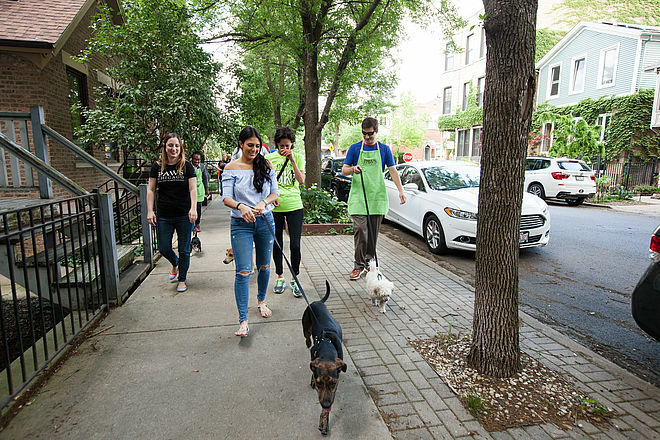 Walking and one-on-one human interaction can reduce stress, increase sociability and, therefore, improve the odds of a dog finding a forever family. Plus, there are health benefits to the walker too that come from being physically active. "We want to increase the odds of winning for shelter dogs by encouraging people to volunteer at local shelters to walk and interact with dogs," Albert said. 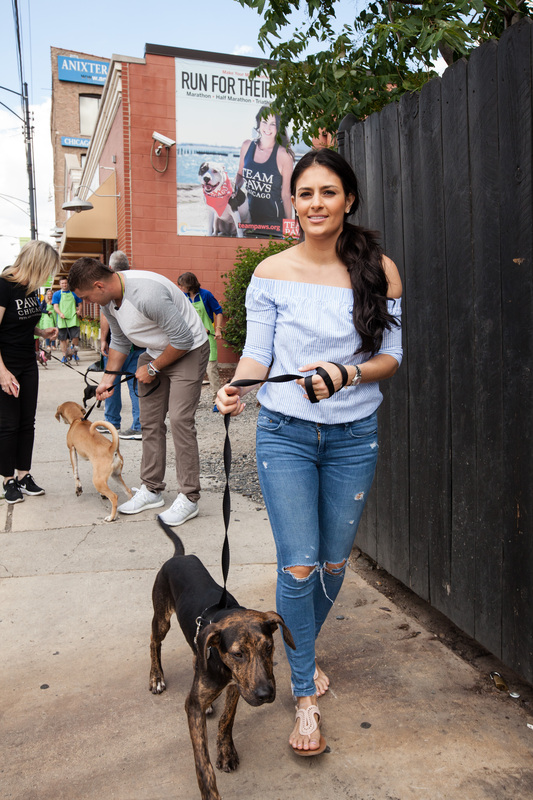 "We understand many people want to help pets but are not in the position to adopt or foster an animal, so we wanted to launch a program that will encourage pet lovers to find time to walk a shelter dog." 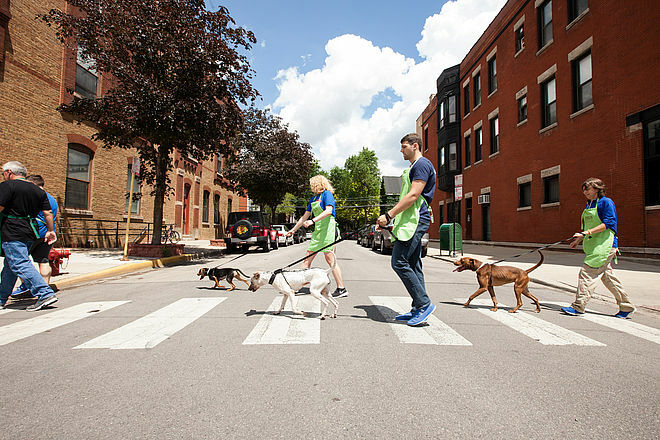 Volunteer at PAWS Chicago and make a life-changing difference in the life of a homeless dog. 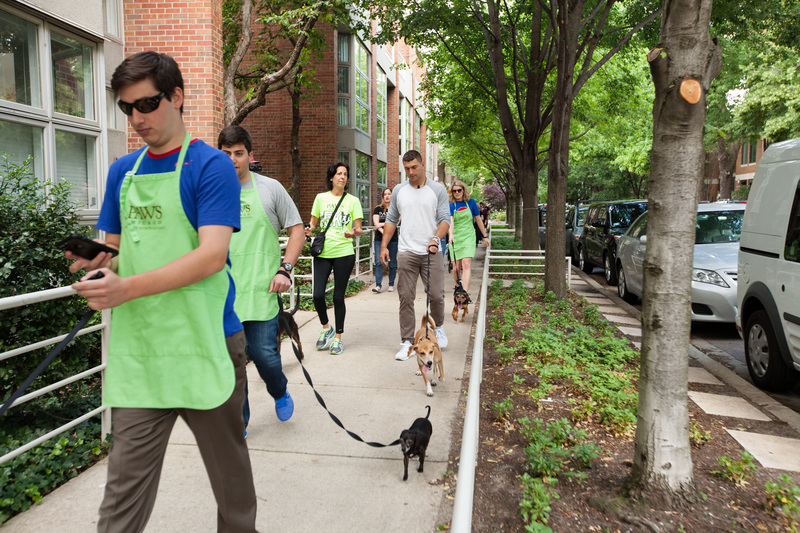 For questions about volunteering at PAWS Chicago, please contact us at volunteers@pawschicago.org. 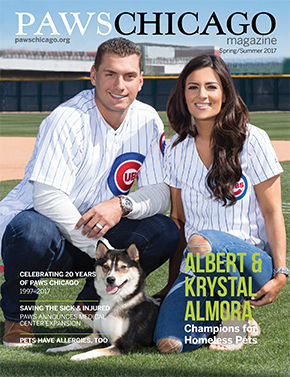 Read more about Albert and Krystal Almora in the Spring/Summer issue of PAWS Chicago magazine. Have ongoing weekday availability? 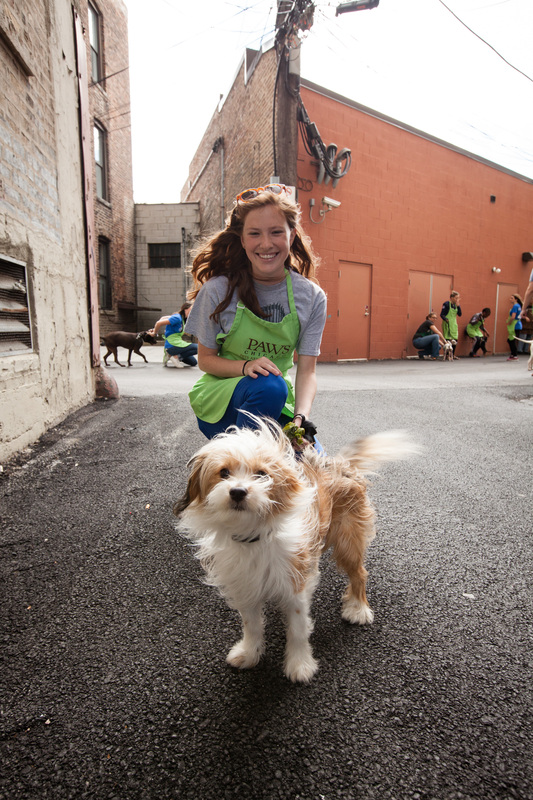 PAWS Chicago needs volunteers to help with cleaning, animal care, walking and socialization at all facilities. Click 'Sign up Today' to email your availability and schedule orientation and training.